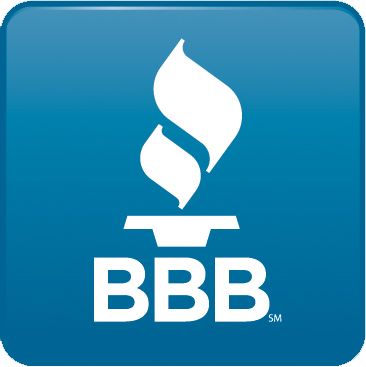 Proudly serving the Greater St. Louis & the Greater St. Charles Counties Since 1990! We can warm you up or cool you down! Apollo Heating & Cooling is dedicated to providing the best possible solution for your home or business. You can count on us to provide you with a system and solution that fits your unique needs and since we've installed many systems in this area, we've earned a reputation for doing the job right the first time. As a Carrier® dealer, with a wide variety of products to choose from, we can keep your family healthy and feeling comfortable all year long. We carry a complete line of indoor comfort equipment with innovations that raise the standards of comfort and reliability, including air conditioners, heat pumps, gas furnaces, programmable thermostats, humidifiers, ductless split systems, geothermal systems, boilers, air cleaners, ultra violet lights, ventilators and zoning products. 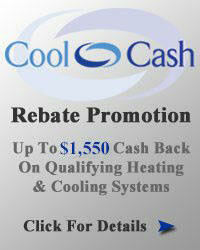 Let the experts at Apollo Heating & Cooling help you customize a solution that's right for you. Only 1% of all US HVAC contractors* have earned this distinction by consistently performing to rigorous national standards. Apollo Heating & Cooling, Inc. has met Carrier's rigid criteria for quality, knowledge, service, and integrity. You can be confident in your decision to work with us. 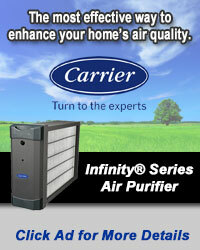 Carrier enthusiastically backs this dealer with an equipment 100% money-back guarantee. If, for any reason, you are dissatisfied with your new Carrier® equipment within one year of its installation date, this dealer will correct the problem or remove the equipment and refund your purchase price. Ask them for a copy of the guarantee that needs your signature. It includes details and limitations. 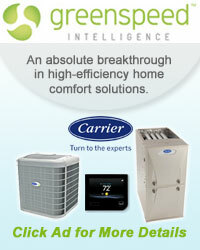 Carrier endorses this dealer on technical aspects of HVAC installation, maintenance and repair. This dealer sends their comfort consultant to Carrier® University where they learn how to offer you solutions with the highest level of comfort and value possible. This dealer's technicians thoroughly understand the industry's leading products that are energy-efficient as well as reliable, quiet and environmentally sound. They also maintain all required local licenses, have appropriate insurance and liability coverage, and fulfill warranty obligations in a timely manner. Carrier commends this dealer for continually maintaining high-level training and certifications. This dealer employs NATE®-certified installers and technicians who have passed a stringent set of core and specialty exams. They also receive ongoing training specific to Carrier® technology and products. 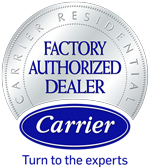 Strictly adhering to Carrier® installation and service procedures, this dealer uses genuine Carrier® Factory Authorized Parts whenever possible to ensure that your system performs as promised…preserving its original efficiency and sound levels. They are also certified by the EPA for proper refrigerant handling. 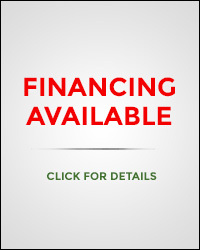 We have used Apollo for furnace and a/c maintenance and repair. 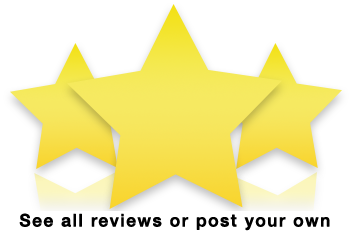 They have always done a great job and did not try to gouge us with high prices and unnecessary repairs. We will be using them in the future when we need to replace our units. Great company! I would recommend Apollo to everyone I know. Tom gave me a very fair deal on my new A/C and Furnace. His techs came over and had my new system installed and the air conditioning running by the end of the day. My home is chilly inside now and it’s been 90 degrees outside.